Counselling is very personal. Our Clinical Director talks with you about your situation to match and connect you with the right counsellor. 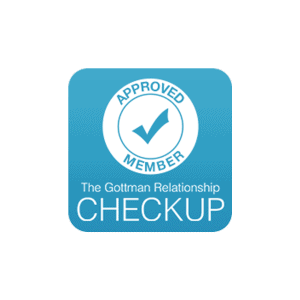 We follow-up & provide ongoing support to make sure the fit is right for you! No guesswork. No waitlist. No online surveys. No cost for getting matched. Negative self-talk and thoughts impact your mood and behaviours. CBT is very effective in treating stress, anxiety, depression and low self-esteem. Learn how to apply CBT with professional guidance from our experienced counsellors. Overwhelmed, stressed-out or feeling out-of-control? Having tools and techniques will help you develop a stress-free and calmer experience. We can be our own worse critic, and sometimes this leads to a skewed self-image. Counselling can help you change these perceptions and ideas. Feeling ‘blue’ occasionally is common for most people. Feeling flat, depressed and lethargic regularly is not. Taking small steps can make a big difference in your life. Grief and loss can be complicated and feel like an emotional roller-coaster. Our counsellors can help during this most challenging time. The effects of trauma can be widespread and affect your mood, behaviour and thinking. Evidence- based methods can make a big difference. We all experience anger but if it leads to aggression, it can be a big problem. Simple, effective tools can help manage strong emotions in healthier more productive ways. Relationships can be challenging. Whether you want to strengthen your relationship, build communication tools, or manage conflict constructively, the right counsellor with the right training and experience is key. Start communicating with your partner to improve your relationship today. What a great place to seek out help! Professional, confidential, and really helped me out in a time when I felt stuck. I found Waypoint very professional. They helped me choose which of their several counsellors would be best for me. The counsellor they suggested made a big difference. We are so fortunate to find Waypoint. George really helped us find a great counsellor when we didn’t know where to turn. Our therapy service has received an average rating of 4.6 out of 5 stars. Now it’s your turn to get more joy in your life.